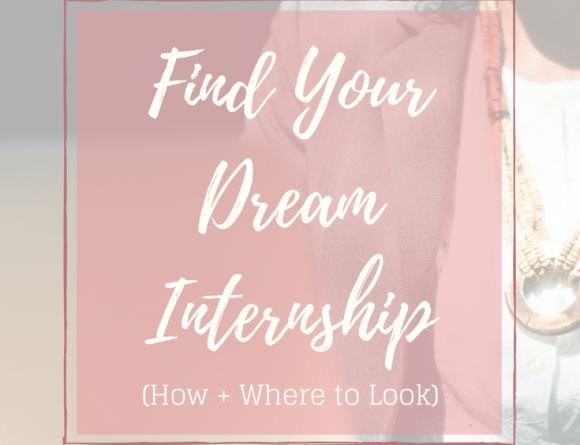 IT’S INTERNSHIP SZN, YA’LL – are you ready? Even though I’m out here in England trying to make it through exams right now, I know some of you are prepping to start your next few months as a summer intern. A summer internship is an amazing opportunity. You will be rubbing elbows with like-minded people, going to meetings, and learning so much. Oh, and it’s a great way to jump-start your career too! In general, students who complete internships are more likely to score a job after college. How cool is that? At the same time, the idea of actually impacting your career is also kinda nerve-wracking. 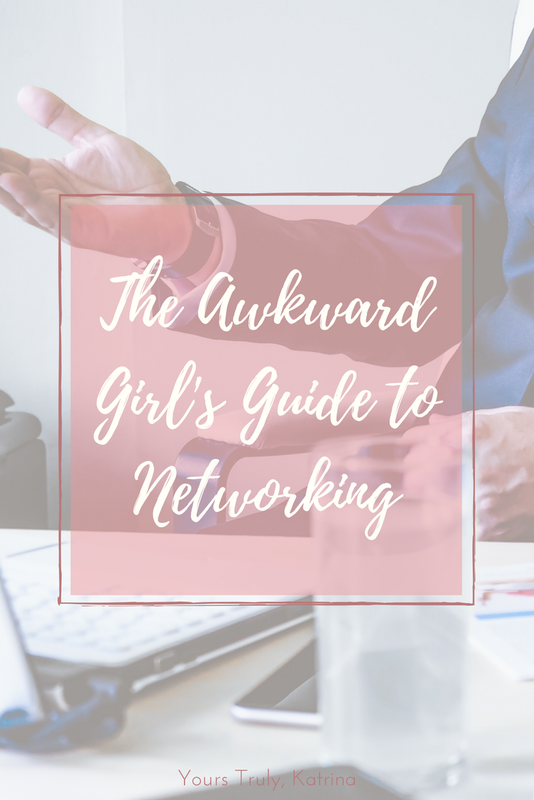 I was so nervous about standing out in the right way when I started my internship, and I still have so much to learn about being a great intern. 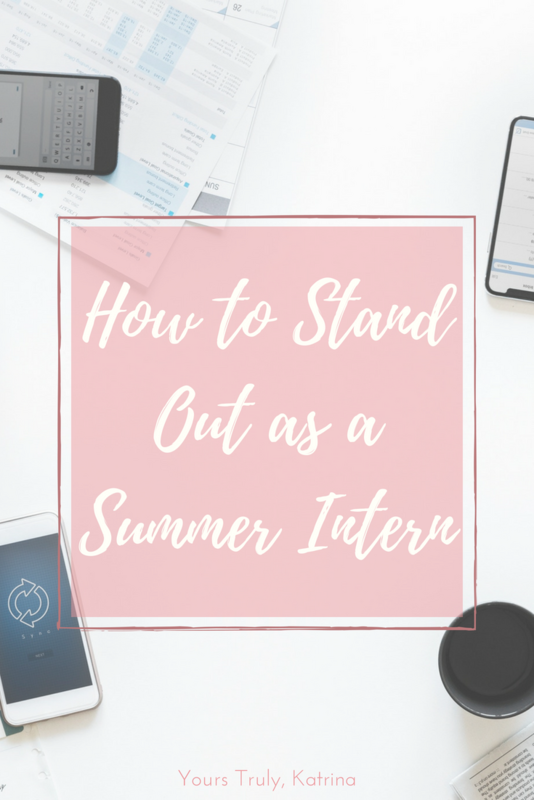 Over the course of my past two internships, though, I picked up a few tips from observations & asking different full-timers on what makes an intern stand out, and I’m here to share them with all of you. Hopefully these will ease your nerves about your time as a summer intern, and help you do your absolute best! My boyfriend Michael is completing a co-op assignment right now, and when I asked for his help with this article this was his first tip! Even though I do have my fashionable moments, I’m not always concerned about my outfits, so I’m thankful he was there to remind me of this. Even though you’re likely to receive a dress code, it’s important to take it one step forward and build your outfits based on the office’s culture. Every office is different – some offices allow for a more creative style of dress, some offer casual Fridays, and others are strictly corporate 5 days a week. After you get an idea of what the office dress culture is like, try to cater your day-to-day outfits to fall in line with it. Doing this helps you to not only look the part, but feel the part too! Don’t get me wrong – I’m not saying to forgo your individual sense of style for the internship. BUT at the same time, maybe you’re gonna wanna leave your skinny jeans at home if everyone always wears dress pants. Just a thought. 2. Make personal goals…and let your boss know about them! Let’s get things straight. This internship isn’t just about how much you can help; it’s also about how much the experience can help you! Think about what you want to have accomplished by the time your time as a summer intern is over. Do you want to learn a new software? Meet with an executive of the company? Better understand a job outside of your internship description? Give a killer final presentation? Write these goals down, and communicate them to your boss. 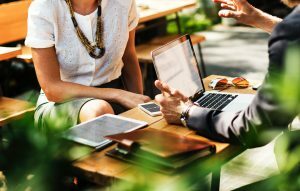 Talking to your boss about your personal goals for your internship not only establishes you as a go-getter, but it also helps your boss know how to cater the experience to make it as rewarding as possible. Plus, more often than not your manager will be able to help you reach these goals…if you ask the right questions. As a summer intern in a new environment, it’s easy to believe that everyone expects you to know everything. After all, they did hire you to get work done…right? Speaking from experience, this is NOT completely true! Sure, you should have basic knowledge of the things you talked about during your interview, but internships are also huge learning opportunities. If you knew everything before you started your job, there wouldn’t be anything for you to gain! If you have trouble with anything, or if you’re curious about something, ask the question! Last summer, I wanted to learn about the different engineering divisions and network with other managers, and for the first month I was so nervous to ask my boss about it. I didn’t want him thinking I was bored with the work I was doing, or that I was brown-nosing to get ahead in the company. However, once I mustered up the courage to ask him, he encouraged it! He even set me up in a couple of meetings, and one of the teams I met with ended up being the one I’ll be interning for this summer. How crazy is that? Long story short – just ask the question. You never know what might come out of it! 4. Finally – just be yourself! Don’t think that you just have to be a corporate robot in order to succeed. In fact, the exact opposite is what will make you a successful intern! Your personality is part of what got you this job in the first place, so let it shine through! If you’re excited about a project, don’t be afraid to say it. If you’re swapping anecdotes at the lunch table, it’s 100% okay to contribute your own. Being yourself will allow you to see if you’re a good fit for the company culture, and it’ll also help with building trust within your team. Honestly it’s a win-win for everybody, and people really like to see that there’s a human behind all of the hard work. I hope you got a little something out of these tips! I know you’re gonna kill it as a summer intern, and I hope the experience is everything you hoped for and more. Do you have any tips on standing out as an intern? Is this your first summer as an intern? 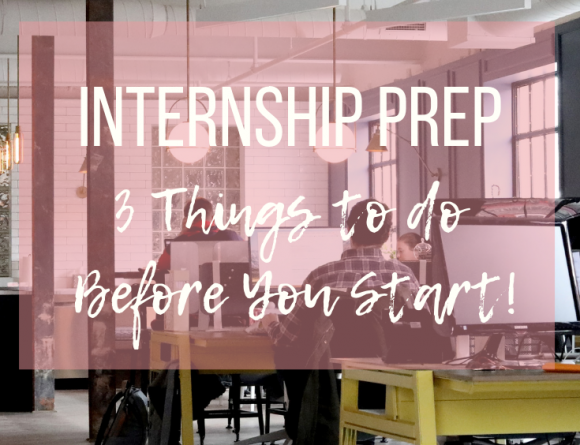 Internship Prep – 3 Things to do Before You Start!